Kim is born in 1983, and from London in the UK. She’s a mother to a beautiful toddler, a proud award winning author (awarded Best Romance 2017 title for A Stranger In France). Kim started her journey as a traditionally published author after she scored a publishing contract with a USA based publisher. She was over the moon! However, it became clear to Kim that things were not as she expected. Therefore, she set out on her own journey, she dived head first into the world of self-publishing and republished two of her fictional stories, and became a proud self-published author also. Something great was unleashed, she’ll never look back in regret. As a reader she’s head over heels in love with romance, historical fiction, crime fiction, African- American, suspense and thriller genre books. 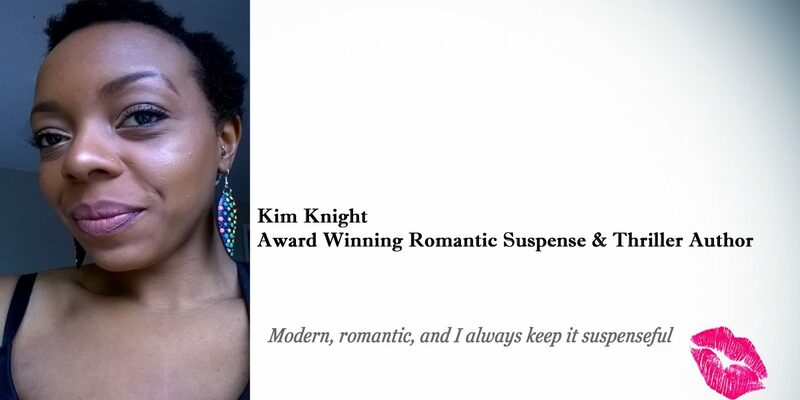 As a writer, Kim enjoys creating stories with a diverse and multi-cultural line up, within the romance, romantic suspense and general thriller and crime genres. When she’s not reading, or writing stories of her own her other passions include practising her French, fashion, drawing, make-up artistry, spending time at her sewing machine dressmaking, watching make –up and beauty tutorials on YouTube, letter writing and being a mum. This author site is updated weekly and follows Kim’s journey from just an average human being writing down her thoughts and feelings, to a published author, writing tips for aspiring authors weekly writing challenges, promotion of other authors and their interviews on the 25th of each month , book reviews, updates on her future novels & magazine articles published, responses to daily writing word prompts, poems, short stories,interviews/guest blog appearances and her random thoughts and ramblings on life. As of the 7th August 2016 after receiving three blog awards Kim’s author website became an award free author blog as her love of just writing comes first! Hi Kim, I am pleased to meet you. Great to meet you! Thanks for stopping by. Thank you for following and stopping by. Much appreciated. I like what you are doing. It’s not easy to have your work published. Bravo! Thank you Ngobesing for stopping by . It isn’t easy I’d agree, some how God has paved a way for me to turn my hobby into a dream! Did you see the email? Afternoon Sir, yes I did see it and I will respond this evening . I am looking forward to answering the questions. Have a good day. Great day to you sweetie. Remain sweet. I chose you to participate in the Three Day Quote Challenge. I hope you will accept. Thanks!!!! Yes I did, I have my 1st one lined up! OK #1 done already, I have #2 ready for tomorrow. Have a great day. …and she wears great earrings. Fab blog and I am looking forward to having you as my guest. Danny sent me- So glad you are self publishing- confirmation as something I should and plan to do should I ever finish a book. Very best of luck Michele, I would traditionally publish again but it’s all about finding the RIGHT home for your work. That’s my advice. Self publishing is amazing, there are so many pros. I plan to do a blog about this. Thanks for stopping by. Hello, I found your blog through Blog Networking. II’ve only browsed a bit but i’m inspiredly what I’ve seen. I’m off to give you a “follow” and to do some additional browsing. Hello, thank you for stopping by and welcome!